MELBOURNE, Australia - Holly Holm pulled off a stunning upset victory over Ronda Rousey in UFC 193, knocking out the women’s bantamweight champion in the second round with a powerful kick to the head Sunday. 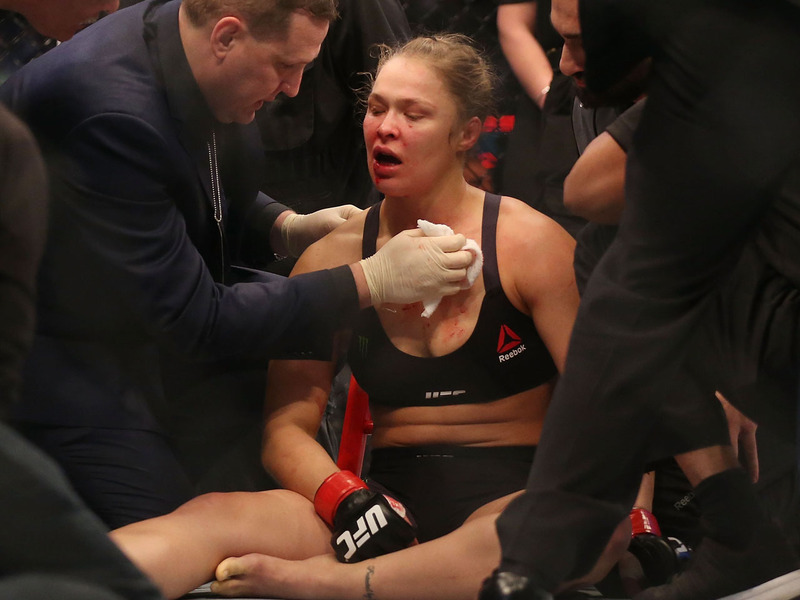 The fight started at a frenetic pace with Holm landing some powerful shots to the unbeaten Rousey’s head, leaving the frustrated champion with a bloodied nose at the end of the first round. The six-time Muay Thai world champion Jedrzejczyk built the pressure in the second round and third rounds with some trademark, lightning-quick combinations to Letourneau’s head, while forcing the challenger to keep her distance with some effective kicks. Mark Hunt of New Zealand won his rematch with Brazil’s Antonio Silva by technical knockout after the referee stopped the feature heavyweight fight in the first round. The big-hitting Hunt dominated from the start, determined to do better than the five-round draw the pair fought in 2013. While organizers had yet to release crowd numbers, Melbourne’s Etihad Stadium was transformed from a 56,000-seat Australian rules football venue to an auditorium holding close to 75,000 seats for the event. A full house would easily eclipse the 55,724 fans who attended UFC 129 at Toronto’s Rogers Centre in 2011.